Well here we are. They’ve shot 300, written by Erica Messer and directed by Glenn Kershaw. It’s in the can, and we get to see it, all of us, on October 3rd. Three hundred episodes. With that auspicious entry, Criminal Minds joins the pantheon of classic television shows like Gunsmoke, Dallas, and ER. More importantly, it gets to stand on its own as a survivor – a massive success driven by the dedication and professionalism of the crew, admin, and cast during over 13 years of production. Getting invested the very first time I saw an episode, way back when. Knowing I was going to keep watching and never miss it. CM had instantly filled a giant hole left in my fangirl heart by the end of Buffy the Vampire Slayer. I had never watched a procedural before (and haven’t since), but these heroes were immediately my new Scoobies. My heart melted at how evident it was that they cared for each other so much, these co-workers, these agents. It’s been an incredible journey to witness them all come into their own, and to grow as characters and people over the years. To see them become a family, no matter who came, or went. The excited, heightened feeling of being able to interact with the writers, producers, and actors in what was then state-of-the-art communication tools like message boards, chat rooms, and tumblr. Having the privilege of interviewing the one and only Harry Bring, which set in motion an abundance of interviews over the years where I’ve been lucky enough to talk with many of the people who make our show, and ask them questions about their lives and career trajectories. Seeing Matthew Gray Gubler as Dr. Spencer Reid on my screen for the first time. Wow. I’d never seen anyone like him on television before. Young and so skinny, with greasy hair and an FBI windbreaker – he was nonetheless compelling as hell with his amazing intellect, confidence in his abilities, and humble demeanor. Watching him grow into himself as a man has been a pleasure, and a treat. He remains my favorite character on any show, eclipsing Willow Rosenberg, and even Al Swearengen. My elation and ‘tongue-tiededness’ years later at getting to meet the man, first as an extra on his movie Hot Air, then at his 68 Kill movie premiere here in Austin, and then as a guest at the table read for the CM episode Dust and Bones during a once-in-a-lifetime set tour (what a DAY!) last September. The episodes, the episodes. Not every one was golden, but from the exceptional premiere Extreme Aggressor, to the gripping Believer that ended last season on a cliffhanger, there have been dozens upon dozens of offerings that have embedded themselves in my mind and heart, with some that I can recite word for word. Standouts like the entirety of the first two seasons, then Elephant’s Memory, The Uncanny Valley, Mayhem, Mosley Lane, 100, The Edge of Winter, The Apprenticeship, Nelson’s Sparrow, Entropy, Mr. Scratch, and many, many more that have entertained me, made me cheer and sob, and definitely made me believe in heroes again. Breen Frazier: “When I think of my 11 years on the show, I’m the most humbled by the patience and good will of the fans. You stayed with us when we said goodbye to Mandy and hello to Joe. You stayed with us when we said goodbye to AJ and Paget and then— uh, welcome back AJ and Paget! We know that every episode doesn’t live up to your keen intelligence and overwhelming expectations. But we have never taken for granted the latitude you have given us to take chances and tell incredible stories, from killing Hotch’s wife to putting Reid in prison. There’s one other truly gob-smacking fact about the history of our show and it’s this: we are on the THIRD WAVE (!) of Criminal Minds Fandom. Reidfan: “Criminal Minds has helped me grow. I’ve always been squeamish, easily triggered by the sight of blood, guts and gore. I don’t go to horror movies etc because I know I can’t handle it. But thanks to Penelope Garcia, I’m able to get past at least part of it. Her dialogue often ‘warns’ it’s coming, so I can look away if it’s *really* bad. And she deals with it with such a gentle sense of humour, I’ve learned to ‘get over it’ “Today’s case is brought to you by the letter I for Ick….” etc. I watch *her* instead of the gore and I can deal. Which is a good thing, because otherwise I’d be missing a pretty damn good show. I came into CM late, it was already airing its tenth season when I finally braved the ‘blood and guts’ factor. My son, who wants to be a police officer, suggested watching a few of the episodes that were running daily in the afternoons here at the time. I was reluctant, and he was really excited one day and said ‘But you gotta see these two that are on today, Mom! They’re the best two episodes of the series!” (at this point, Mr. Scratch hadn’t aired yet). I watched The Big Game and Revelations with him. And I was completely hooked. The writing was incredible. The story gripping. And the acting was phenomenal. I was vaguely aware of who Mandy Patinkin was. But the ‘kid playing Reid’. Good lord, where did you find this absolute gem? He’s incredible. I didn’t know his name that day, now I’ll never forget it. Over the years, there have been some so-so episodes, some pretty good episodes and some absolutely stunningly great episodes. And it’s not a surprise to me that all the best ones seem to have one common factor: Matthew Gray Gubler. Either he’s portraying the episode’s central character, Spencer Reid (Elephant’s Memory, LDSK, Revelations, Instincts, Memoriam, Uncanny Valley, Nelson’s Sparrow, Entropy, the entire prison arc, especially the last two, Green Light and Red Light, Wheels Up); or he directed the episode (Mosley Lane, Alchemy, Mr Scratch, Elliot’s Pond, A Beautiful Disaster). It’s been something of a privilege to watch all 299 episodes. Coming into it late, I made the conscious effort to go back and restart from the beginning (and just kick myself for not watching from the first day!) and watch and enjoy seeing the characters develop and grow over the years; like an ancillary family. I care about these people like they’re my own children/siblings. There have been so many moments on the show that have made me outright cry: The anguished sound of JJ’s voice in Mr. Scratch: “Spence is down”; the father at the end of Mosley Lane: “He was alive yesterday?” Rossi’s helplessness as Carolyn dies in his arms, Reid’s grief in Nelson’s Sparrow– good lord that man can act without saying a word, I lose it when he dabs at his eyes with shaking hands; Morgan and Reid saying goodbye in A Beautiful Disaster, the grown three siblings reuniting at the end of Elliot’s Pond, Reid set free in Green Light— the hug with Garcia and firm hold on her hand as they go off to find Diana; and the use of Elms District’s Journey On at the end of Red Light–Reid and mom reunited; all are absolutely breathtaking, riveting, heart wrenching well done scenes. Any one of them is a lesson on How To for a television writer/producer/director. Just fabulous, fabulous stuff. But I have to return to the moment that hooked me. And confess that it’s probably, in retrospect, a good thing that I never saw Revelations when it first aired on tv without benefit of a fast forward button. The commercial break between when Reid falls backwards onto the floor in convulsions and ‘dies’ and Tobias Hankel/Raphael/Hankel’s father (more fantastic acting by James van der Beek) argues with himself about whether or not to resuscitate Reid would have ended me had I seen that live. It would have been the longest two minutes of my life. As it is, it’s an excruciatingly long ten seconds while I fast forward through the PVR’d version. I just cannot say enough good about Chris Mundy’s writing, Guy Norman Bee’s directing and most especially the absolutely brilliant performances by James van der Beek and Matthew Gray Gubler. Jim Clemente: I can vividly remember the day I met Mandy Patinkin and told him stories about what it was like being an FBI Profiler… And the first time on set… And the first episode I wrote… And all of the wonderful people who became family… And our 300th Episode wrap party… And all the amazing moments in between! CM has changed my life and hopefully many other’s, for the better! MorganGarciaGirls: “I remember the watch party the Wednesday Night Girls did for the 100th episode. We were on our personal Twitter accounts back then. I remember how we streamed “100” from different parts of the world and stayed up on different time zones and cried all together. Now, here we are, on our own Twitter fan club, about to do the exact same for “300”! Jennifer Kaufman: Every time I watch Elephants Memory and Spencer tells his sad tale of being bullied, I cry. It really gets to me, Matthew really delivers. I also loved it when the ladies of the BAU showed off their FBI badges to Brad, the “real live FBI agent”. It was also really cute when Henry came in dressed as Spencer. And Mr. Scratch is not just a favorite episode of CM, but one of my favorite TV episodes ever! Tari: Collectively, Criminal Minds has enriched my life as only truly great television can do for those of us who have always loved the medium. I’m thrilled beyond measure that my show has reached 300 episodes and beyond, and I wish I could personally thank every single person who has ever contributed to such an incredible gathering of talent, both front and center, and behind the scenes. You should all be extremely proud of this historic milestone, and for the incredible hours of story you’ve given to us: Thank you. Thank you. ← Criminal Minds’ Matthew Gray Gubler Swooped Into Japan this Hiatus! Hi Tari. What a great article. I didn’t get chance to contribute in time for this however here are my thoughts. CONGRATULATIONS CRIMINAL MINDS…300 episodes….Keep it coming! I am what Breen classes a 2nd wave fan. I was just flicking channels, bored out my mind when I flicked on a show where this young kid of an FBI agent was acting sullen and mysterious. That was Dr Spencer Reid after missing the plane in ‘Jones’. I have been hooked ever since and within a month I had bought and watched the 6 seasons available up to then. The show was on the 7th season and the first episode I watched sort of ‘live’ was ‘True Genius’ I have enjoyed watching the team and as everyone knows my favourite Dr change and grow. Grieving when team members have left, welcoming new members to the family. Over the years I have laughed and boy have I cried. Some episodes not so good but most blew me away. I thank Criminal Minds for allowing me to be on the rollercoaster ride with them, for the many friends I have made because of this show. Thank you for giving us the BAU and for me personally thank you for introducing me to the amazing talent and human being that is one Matthew Gray Gubler. Criminal Minds is a show that is gonna live long in my heart after the inevitable but not eagerly wanted end. I have watched from the beginning. I absolutely adore this show. The addition of SSA Rossi sealed the deal for me. Love @JoeMantegna. Best show and best fan base. I am addicted to C M and watch it on Monday, Tuesday on ION. Wednesday on Sundance!! Wednesday nite in season. Have watched all since it’s beginning, they are all like family. Looking forward to September to view new episode’s. I love this show. I guess that Matthew Grey Gubler and Kirsten Vangsness are my favorites but I like all the actors past and present. I am so glad that Paget Brewster is back. The show always seems to deliver. 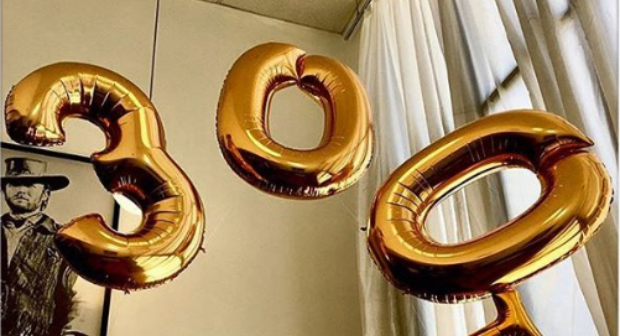 Congratulations on 300. I wish Rossi had more of a life outside the BAU. I think he should lead the team also as he has more experience than Emily.